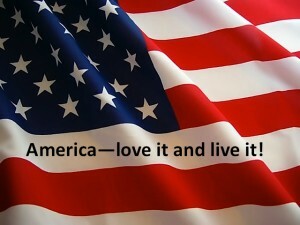 America – Love it and Live it! WHAT IS AMERICAN SPIRIT PRESS? American Spirit Press is a guide to understanding the American Revolution and its importance for modern society. With the American Spirit guiding us, our world can become The United States of the World in a peaceful, benign and life-affirming manner which respects diversity while producing human unity, with freedom, prosperity and happiness for all. JOHN WHITE is an internationally known author who writes about the human mind and spirituality and their relationship to social and political affairs. He has published 19 books, including The Meeting of Science and Spirit, What Is Enlightenment?, A Practical Guide to Death and Dying, The Gulf of Tonkin Events—Fifty Years Later, The UFO Experience and (for children) The Christmas Mice and Santa’s Climate Change Problem. His forthcoming books are The Pledge of Allegiance & The Star-Spangled Banner and Enlightenment 101: A Guide to God-Realization and Higher Human Culture. His writing has appeared in The New York Times, The Wall Street Journal, Reader’s Digest, Esquire, Woman’s Day, Saturday Review, Omni, Science of Mind, New Age and many other newspapers and magazines. His books have been translated into ten languages. He is also a contributor to The Patriot Post, The American Thinker and other on-line sites.